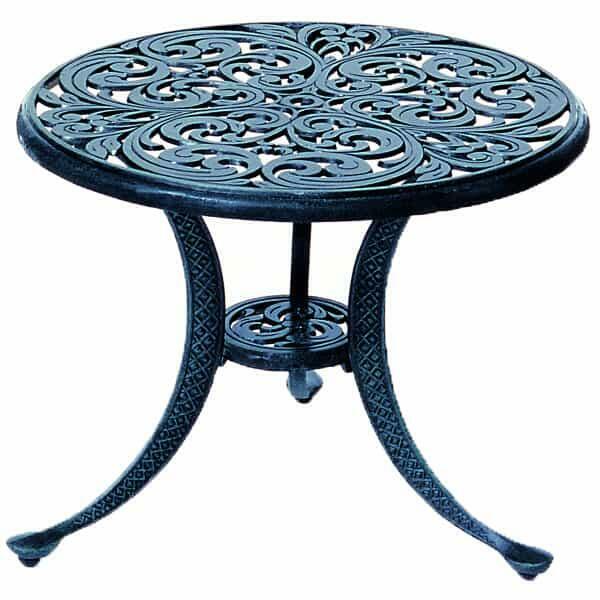 The Chateau Tea Table by Hanamint offers extravagant and intricate details, from the wonderful floral design in the circular table top down to the diamond pattern on the legs. Hanamint cast aluminum patio accessories offer strong frames with a five-stage powder coating that is backed by long 10-year warranties. This table for tea is all-weather approved, and will last outside in the rain, snow and sleet.